Questions about hosting a private event onboard? Please review the frequently asked questions below. If your question is not answered, contact our Events Team at (619) 398-8279 or events@midway.org. How do I book a space with 60-4000 guests? Contact our Event Sales Department by completing the Event Request Form or contact us at (619) 398-8279. 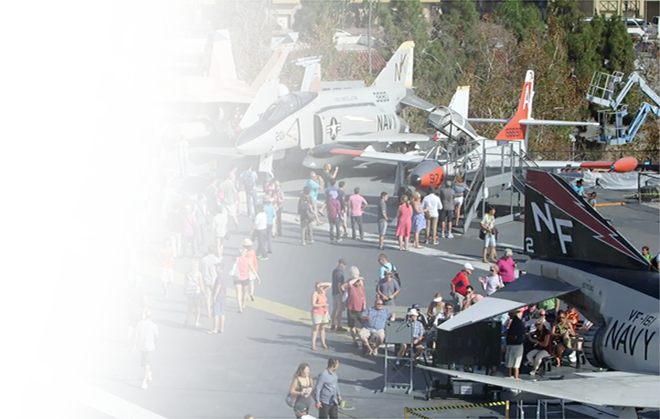 Given the USS Midway Museum’s popularity, book as early as possible. Reservations must be confirmed no later than 30 days prior to the event. Please be advised that popular dates book as early as a year in advance. What are the museum’s hours for events? 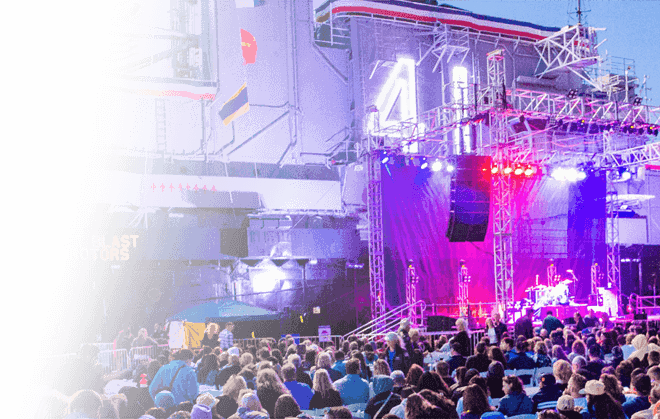 The USS Midway Museum is open from 10 AM to 5 PM seven days a week however early daytime events may begin at 7 AM such as a breakfast event for up to three (3) hours. Events during museum hours such as lunch may be reserved for up to three (3) hours. Evening events begin at 6:30 PM for a maximum of four-and-a-half hours (4.5). We offer a list of well-established and accomplished caterers from which you must contract for your event. 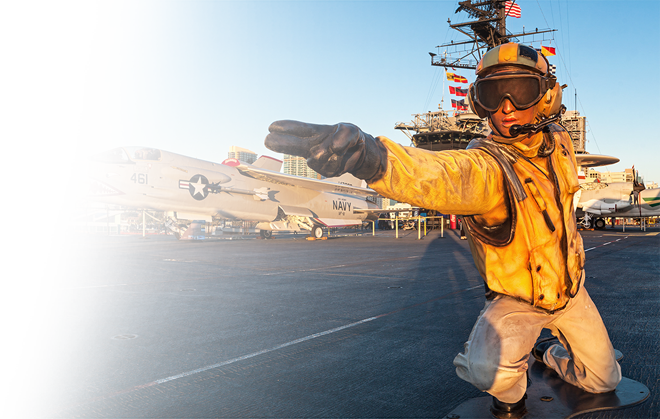 This group is experienced with the unique nuances of catering on board the USS Midway Museum. Do you have bar services, and are there any restrictions on alcohol? Yes, Midway Beverage Services manages all onboard alcohol service. Midway’s liquor license with the State of California requires that food be served at all events where alcohol is included. Wine service is also available. Does the museum provide tables and chairs? Yes, tables and chairs are included in the rental fee up to your guaranteed number of guests (not to exceed 1,200 guests). Midway also has a collection of other equipment to make your event planning as convenient as possible. How do guests board the ship? 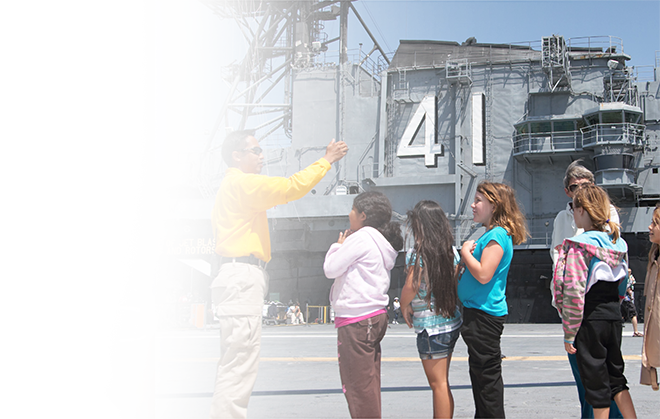 Guests board the USS Midway via brows (gangways) from the pier which include stairs and a passenger elevator to the hangar deck. From the hangar deck guests reach the flight deck via stairs or another elevator. Does the Midway allow smoking during events? Yes, designated smoking areas can be pre-arranged on each of the main decks. Is parking available near the Midway? Yes, more than 375 parking spaces are available on Navy Pier immediately adjacent to the ship. This parking lot is owned by the Port of San Diego and managed by a third-party parking vendor. A map of nearby staging areas for buses is available. Do we have to provide insurance? 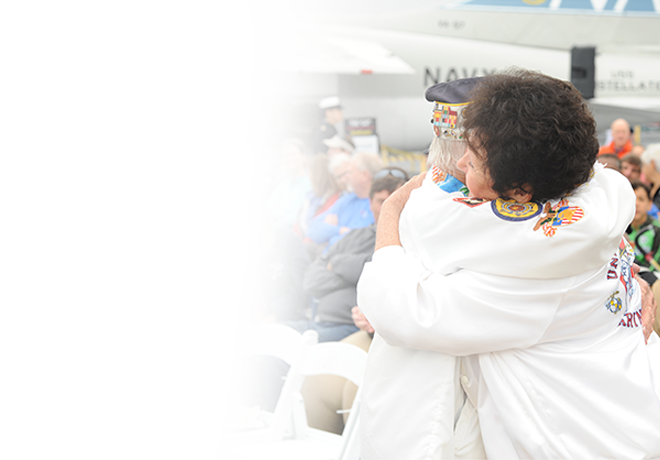 Yes, a certificate of insurance naming the USS Midway Museum as additionally insured is required at no cost to Midway for all events. 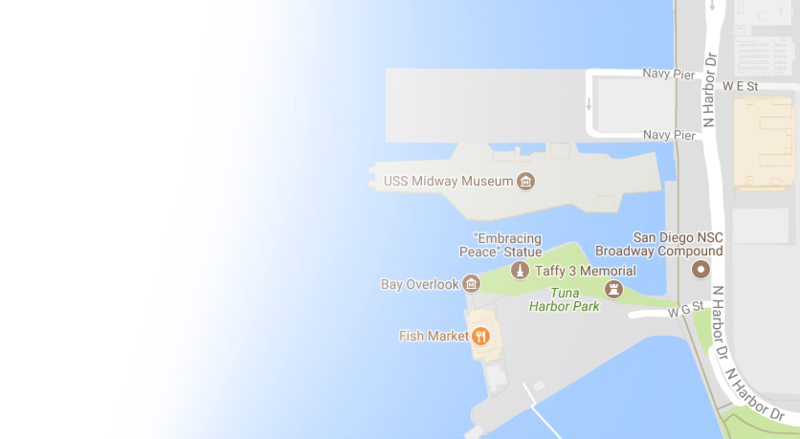 Please note that USS Midway Museum is a decommissioned aircraft carrier. Therefore, there are uneven surfaces throughout the ship. Comfortable clothing and shoes with non-skid soles are strongly recommended. High heels are not recommended. Bare feet are not permitted at any time.